Take ecology into account and boost the effectiveness of your work on yourself and your clients. Recently, I ran across a technique about dealing with people that you have negative feelings about. But this technique was missing something important — ecology! Let’s talk about how to spot a technique missing this important element, and how to add ecology to any NLP, hypnotic, or other approach. This technique I ran across, works with getting rid of the feeling of despising someone. The principles transfer to many contexts, however. In the technique you. . . Think about a person you despise, and get the feelings that go along with thinking about them. Now, you think about a person you adore, and feel all the good feelings that go along with that. Then, you imagine each of them in one of your hands, and you place the “good” hand on top of the “bad” hand, and the “good” person in front of the “bad”. At this point, you may discover that the feelings of despising may have dissipated. If you know NLP, you’ll recognize most of the elements of an anchor collapse. In an anchor collapse, you add a positive, more resourceful emotion to a problem context, by using anchoring. In other words, you associate a problem context with some stimulus, and a resourceful feeling with another stimulus, and then you provide both stimuli at once, making sure the new resource is at least as powerful as the old feelings. Hold those stimuli until things settle out, and things will have changed! This process is designed to collapse the mind’s old way of dealing with this particular context, and allow access to a greater range of responses. However, in a well executed NLP anchor collapse, you’ll have what’s called a break state in between. In other words, in between anchoring the negative, problem response, and the positive, resourceful feelings, you’ll get the client to think about something else. You’ll ‘break’ the negative state before anchoring the positive one. That gets you cleaner, more distinct anchors, and makes the whole process more precise and effective. Beyond that, this process has no ecology check, and that could be a problem. An ecology check is simply checking to see if the desired result of a technique will work out in other areas of a person’s life. As an example, if someone wanted to exercise two hours a day because they want to look great, how would that affect their health, their current relationships, their finances, etc? In your office, they might be perfectly fine with working out two hours a day. But the context of personal relationships might not be active in their minds at that time. In short, they might not be thinking about it. It’s your job to bring that up, and help them get whatever new behavior they want to work in other contexts of their lives. Now, this is important. Lack of taking other contexts into account is one of the main reasons personal development goals fail. It’s one reason habits can be difficult to break. Let’s suppose someone smokes, or screams at cute, fuzzy bunnies, and wants to stop. Even if there’s no logical benefit to the behavior itself, you still need to check ecology. Maybe the smoker has a smoke with his significant other every night before bed, and that’s their special time together. 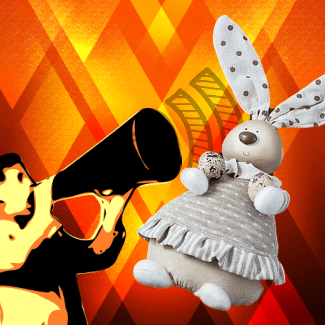 Maybe the bunny screaming person feels powerless in their life, except when they’re screaming at bunnies. Taking ecology into account means you’ll help them find a way to connect to their significant other without smoking, or feel powerful without screaming at bunnies. Otherwise, you’re robbing Peter to pay Paul — you’re taking a resource away to solve a problem. What Is Good About ‘Bad’ Feelings? So, what is good about despising people? What purpose does pain, or negativity serve? Well, one such purpose is to warn us. If we have a physical injury, the pain can help keep us from injuring ourselves further. And the same thing is true of negative feelings about a person. If we’ve experienced hurt from a particular type of behavior, and we feel some of that hurt when we come in contact with someone similar, it can steer us away from that person. And that can be good. In other words, there may be a good reason to despise (or feel other negative emotions) about a person. If we simply take that feeling away, our warning system will not be as robust, and we may get taken advantage of. So, that’s a potential ecology problem. So, if you do the technique, one of three things will likely happen. . . 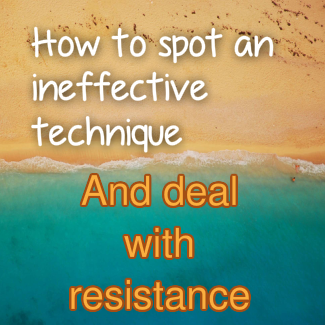 The client won’t feel right doing the technique, and there will be ‘resistance’. The client will do the technique, and it will work, but the client will be less protected. The resourceful feelings of love and adoration will help the client to a more balanced way of acting, where they don’t despise any more, but they’re still conscious of any danger. But adoration may not be the best state in which to receive a warning. #1 is the most likely, in my experience. Once I had a bad sunburn, and couldn’t get to sleep because of the pain. The pain was serving two purposes. To impress upon me the importance of taking better care when I am in the sun. To keep me from sleeping on my back and rubbing the burned skin. But that pain was keeping me from sleeping, and thus from healing quickly. So, I negotiated. I made some promises to myself about taking better care. I installed a strategy of an auditory warning when I was out in the sun, so that I had protection, even if I didn’t have pain (it still works today, 23 years later). And I asked my pain to only come in if I rolled over on my back when I could make the sunburn worse. It reduced the pain by quite a lot, and I was able to sleep and get better. The process was this. . . Figure out what purpose the pain served. Create other, less painful ways of serving those same purposes. Exchange the pain (old behavior), for the new behaviors (or increase the range of potential responses, at least). We can use the same process with people we don’t like, or even despise. We figure out what purpose despising the person serves. We create other, more comfortable ways of serving that purpose. We use an anchor collapse (or another technique), to exchange the old behavior for new behaviors. Or, we at least increase the range of choices in those situations. For me, adoring someone is not a greatly aware state. I tend to ignore a person’s flaws when I adore them. So, that’s not a state I personally would use to collapse the feeling of despising someone. What state(s) should you use? Resource states often have lots of awareness, and what we call sensory acuity built in. We all have known people who we know are making a bad decision, but they just don’t sense what we sense. Well, the same is true of ourselves. In contexts where we’re not resourceful, we don’t have as much access to our own awareness. A shift to a more aware state can help us solve our own problems. How to we shift to an aware state in a particular context? We can train ourselves to do it automatically with an anchor collapse. What Other States Might Help Ensure Ecology? For some people, that might be how they act when they’re near a hot stove. I’m pretty good around snakes, but that might be a terrible context for some people. When you find a good ‘danger’ context, check to see if it has good awareness built in. If so, associate the person into that context and anchor the feeling. Now, if you believe that everyone should love all creatures of the earth, you can add a feeling of love up in there, and stack it on top of the anchor you just set. The increased awareness should be there though. Just because you love all creatures, doesn’t mean you’re going to pet a cobra, does it? Now that’s an anchor you would take in, to collapse the feeling of despising someone! What if you (or a client) resents someone, and you’re tired of carrying the resentment around? It’s the same sort of situation. Figure out what negative consequence that resentment is protecting you from, find a context in which you deal with that same type of negative consequence well, and anchor that awareness/emotional state. Use it for an anchor collapse. Again, this same process can be used for just about any negative emotion. If it doesn’t work, you made need to amp up the strength of the resource anchor. You can also add other appropriate resource emotions to your resource anchor. And anchor collpasing isn’t the only possible approach. 6-step reframing takes ecology into account. Parts work works (the part that doesn’t want to despise someone and the part that wants to protect). Regression/timeline stuff might be an approach to take if a simple anchor collapse doesn’t work (although, if you think about it, regression techniques are basically anchor collapses in the past). A lot of direct suggestion hypnosis techniques don’t account for ecology. If you just suggest that someone stop smoking, that’s not necessarily ecological. If you explore the benefits of smoking (or any other pattern) and find other ways to help get those same benefits, that’s adding ecology, and your suggestions have a higher chance of success. Lots of NLP processes (6-step reframing, parts work, core transformation, etc.) have ecology checks built in. If you run across a process that doesn’t have it, you can borrow one from those techniques. In 6-step reframing, you basically check by asking if there are any objections. “Go inside and ask, ‘Does any part of me object to these new choices? '” If you get any kind of sensation, image, or feeling, communicate with it, find out what it’s after, and include that into your solution. You can also ask the client to think about how the change will affect the major areas of their life; social, relationship, financial, and health. One more thing — if you experience ‘resistance’ with a client, it may be lack of taking ecology into account. There are other possibilities, but it’s good to check!